A public memorial service is set to take place next month. Source: Getty. She shot to fame as Prince Harry’s biggest fan, charming the world on three separate occasions as she shared tender exchanges with the duke as he carried out official engagements Down Under. But the world was rocked earlier this month, when the news broke that Daphne Dunne had passed away at the age of 99. And the royal super-fan’s funeral has now taken place, with mourners paying their final respects to the late war widow, gathering in St Phillip’s Anglican Church, where Daphne tied the knot with her husband an incredible 75 years ago. The Daily Mail reported that New South Wales Premier Gladys Berejiklian was among those who paid their respects on Tuesday, as her family remembered her “long and extraordinary” life. And, while the service was a private affair, it has also been reported that a public memorial service will be held in Sydney’s St James’ Church on Friday 17 May for those who wish to honour Daphne. Daphne passed away on Monday 1 April after a short battle with pneumonia, just days after she received a birthday card from Harry and his wife Meghan, the Duchess of Sussex. 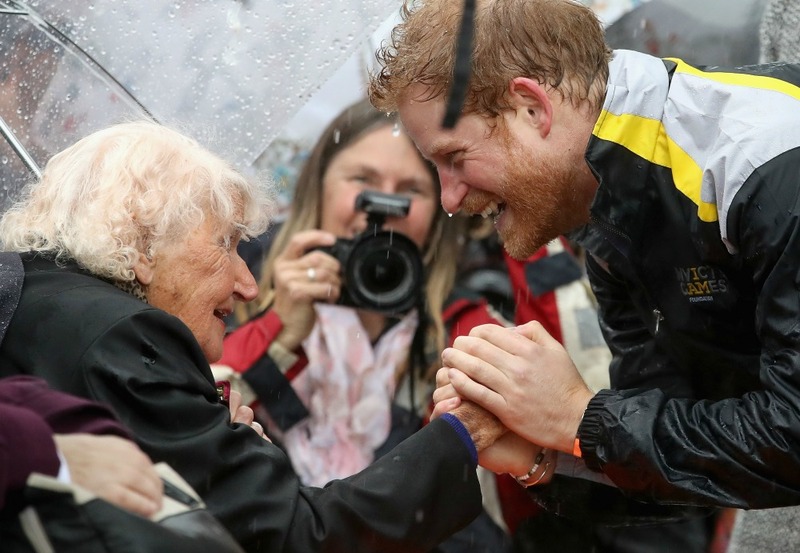 Appearing on the Today show three days before she died, Daphne shared her delight in hearing from the Duke and Duchess of Sussex, having met Harry’s wife Meghan for the first time in 2018. Do you have a message of condolence for Daphne’s family? Do you remember when she met Prince Harry for the first time?